Municipal water comes into your restaurant and can drag along harmful bacteria that it picks up on it’s way from the water treatment plant, through the city’s piping to your water line, and ultimately to your customers. 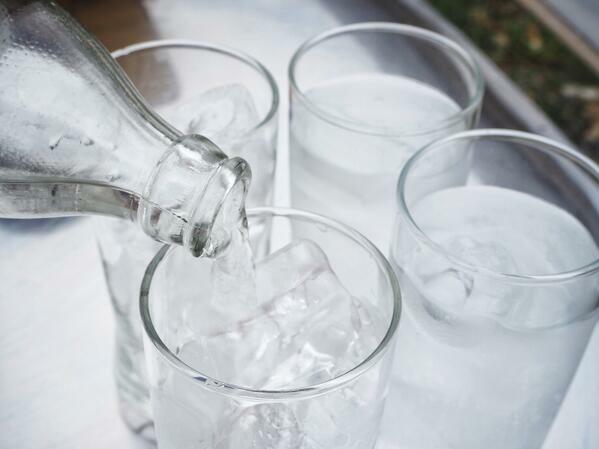 There are a few steps you can take to insure the water you use to make consumable ice is clean and safe for customers. Installing a water filter on your incoming water line or at the point of use can help eliminate sediment, taste and odor issues that are naturally occurring in municipal water sources. In addition, adding a scale inhibition solution to your ice machine, such as polyphosphate, can assist in reducing limescale. In many parts of the world water hardness is extreme and the result is a poorly operating, dirty ice machine which requires more service than an ice machine that has been properly protected. While disinfectants such as chlorine can assist in the fight against bacteria, it is best to remove them due to taste and odor issues created by these harsh chemicals. It is important to remember that once the disinfectants are removed the ice machine is at greater risk for biofilm. Think water filtration and water treatment. Sediment, chemical and scale manipulation paired with aqueous ozone is sure to be a winning combination for your ice and beverage service. In doing so, the spectrum of water issues are all addressed. While water filtration has been widely used in food service for years, aqueous ozone sanitation devices are relatively new to the industry. One such device, Franke’s EcO3Ice, is a compact, point of use, aqueous ozone generator manufactured for protecting commercial ice machines and the customers that consume the final product. As the ozonated water passes through the machine it is doing double duty. By addressing the ingredient water, EcO3Ice protects your customers from foodborne illness by attacking harmful bacteria. Secondarily, EcO3Ice helps keep the ice machine cleaner and safer longer, saving each operator time and money. I already have a filter, why do I need this too? A water filter can do many things, but what it can’t do is kill bacteria. In some cases, customers may use the wrong type of filtration, which accelerate the bacteria issues inside their ice machines. For best results, killing the bacteria with an aqueous ozone device after the water has been properly treated by a good quality filtration device, will always be the winning combination. National Water Quality Month is a great reminder that water is an ingredient and the ice we make with it is food. Are you delivering a safe, clean, quality ice to your customers? If you want to know more about EcO3Ice please reach out to one of our sales reps today to learn how you can give #BetterIce to your patrons.